Barberry, scientific name Berberis vulgaris, is an ornamental garden shrub whose red berries, stem, bark and roots are used in herbal remedies. The fruits are also used to make juices, jellies and jams. Barberry is native to parts of Europe and North America. It is also called berberry, jaundice berry, pepperidge bush and mountain grape. Barberry has been used for thousands of years to treat ailments such as diarrhea and upset stomach. Talk to your physician before taking barberry, as there are some side effects associated with its use. Barberry is a perennial shrub that grows in sandy soil up to a height of ten feet. It has thorny stems and produces small yellow flowers in the spring and dark red berries in the fall. Berberry contains the plant alkaloid berberine, a compound that appears to have some anti-inflammatory and antimicrobial activity. Berberine is responsible for most of the effects and side effects produced by barberry. This compound, berberine, is the focus of scientific studiy of late, according to atlMD, as it appears to inhibit some microorganisms and stimulate immune system function. The University of Maryland Medical Center states test-tube studies have shown berberine may be beneficial for high blood pressure, rapid heartbeat and convulsions. Barberry has been used for more than 3,000 years to reduce fever, digestive upsets and diarrhea and promote overall well-being. Currently, barberry is used to treat certain infections, including respiratory tract infection, urinary tract infection, malaria, chronic yeast infection and giardia, an intestinal parasite. In addition, barberry does not appear to eradicate the helpful bacterial in the intestines, according to altMD. Ointments containing barberry can be used for skin conditions, such as psoriasis and minor burns. When taken as directed, barberry is considered to be safe for use, producing few side effects. However, when taken in large doses, or for more than two weeks, it can produce upset stomach, vomiting and nosebleeds. It may cause you to be more sensitive to sunlight, so wear sunscreen while taking it. 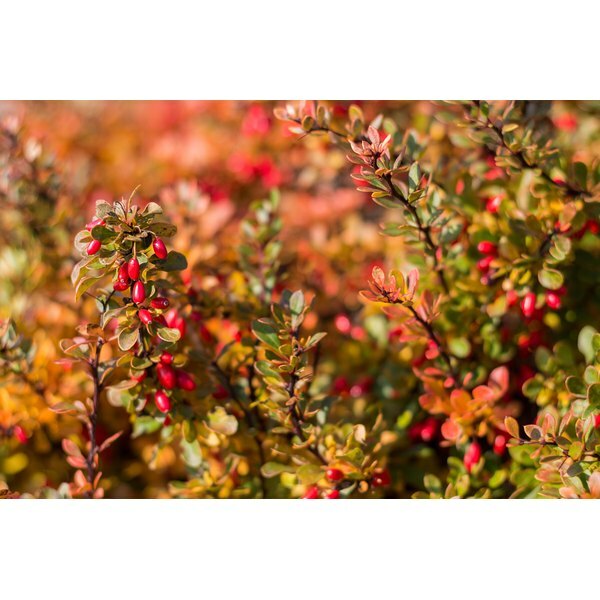 Barberry can also cause headaches and an allergic reaction, especially when used as a topical agent. Allergy symptoms to barberry include redness, itching and burning. Barberry may also cause eye inflammation in some patients. According to "Prescription for Herbal Healing," barberry may also increase production of bile and, in men, interfere with sperm production. Barberry can become toxic in high doses. Drugs.com states the symptoms of toxicity are stupor, lethargy, extreme vomiting, diarrhea and nephritis, an inflammation of the kidneys. Barberry should not be given to infants, because it can interfere with the production of bilirubin, causing jaundice. Do not take barberry if you are pregnant or breastfeeding, because barberry can stimulate the uterus to contract. Barberry may interfere with some medications including tetracycline, antihistamines, blood thinners, diuretics and blood pressure medication. You should only take barberry under guidance from your physician, especially if you are diabetic. Barberry may lower blood sugar, which can change the effectiveness of diabetes medication.